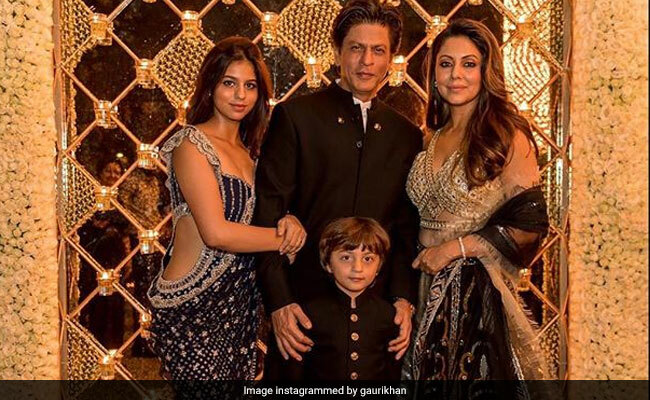 Shah Rukh Khan is heating Bollywood tabloids this November with his Shahana Dewali Bash 2018, at his house Manat in Mumbai. Shah Rukh Khan’s Birthday, Shah Rukh Khan’s Dewai Bash, Shah Rukh Khan’s much awaited Movie trailer “Zero” and now an official Complaint against Shah Rukh Khan by Sikh Community. We can simply say this week belongs to Shah Rukh Khan. The whole Bollywood Elite attended the Grand festive with the Gen-X continued with their princess diaries as Millennial generation of Bollywood heated up the event with their sizzling hot looks and gorgeous wardrobes. Millions of fans greeted King Khan on his 53rd Birthday. The whole India media reported grand celebration outside Manat, as the superstar, from atop his bungalow, acknowledged a sea of people post-midnight, waved out to them and blew kisses as they hooted and cheered for the star. Shah Rukh Khan latest movie, Zero first trailer launched on 2nd November a day before the big birthday was, clocked 54 Million views within 24 hours.